Be the first to share your favorite memory, photo or story of Leoda. This memorial page is dedicated for family, friends and future generations to celebrate the life of their loved one. 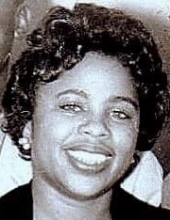 Leoda Ann Garland-Harvey was born October 28, 1935 to the late Hattie Lucas and the late John V. Garland. Her father and her Godparents, the late Mr. and Mrs. Theopolis Streets, raised Leoda and her brother, the late John G. Garland, in the town of Colonial Beach, Virginia. There she received an education from Westmoreland County Schools and she continued her education at Virginia State University. Leoda was united in Matrimony to the late Bert Harvey in June of 1955. After 9 years of marriage they were blessed with a son, Bertram, and 13 months later a 2nd son, Brent. Leoda and Bert made their home in Washington D.C. where they both worked at the Federal Reserve Board of Governors for over 30 years. Their home in Washington D.C., as well as their second home in Virginia, was always open to all who knew them. Leoda loved and lived her life happily for over 60 years in Washington D.C. She was a member of numerous social clubs and women's auxiliaries. Each club member, neighbor, and co-worker was a friend for life; and Leoda considered her friends as an extended part of her family. On any given day, you would find Leoda in conversation, cooking, or entertaining anyone of them. Leoda was a well-rounded classy woman who enjoyed playing the piano, shopping for the latest fashions, listening to jazz music, and traveling, especially to her favorite destination in Harrington, Delaware. Leoda leaves to cherish her memories to her oldest son Bertram Harvey and his wife Robyn; her youngest son Brent Harvey; Grandchildren: Krystal and (Saad) Alston; (LaKeisha) and Brent Harvey Jr., (Stephanie) and Brandon Harvey, Jamal and Kendall Harvey, Tyren Frye and Keenan Vaughn; Great Grandchildren: AJ, Isaiah, Amiya and Javon; Nieces: Regina and Tracey Garland; Sister-in-law: Louise Campbell, Mollie Calloway and Betty Garland; Godson Garry Rosemond; Special cousins: Dorothy Weldon and Laverne Turner, and her very dear friends Emily Porter, Shirley Lee, LyVonne Jennings and Barbara Wells. Also leaving a host of cousins, extended family, friends and in-laws consisting of numerous nieces, nephews and cousins. To send flowers or a remembrance gift to the family of Leoda Harvey, please visit our Tribute Store. "Email Address" would like to share the life celebration of Leoda Harvey. Click on the "link" to go to share a favorite memory or leave a condolence message for the family.